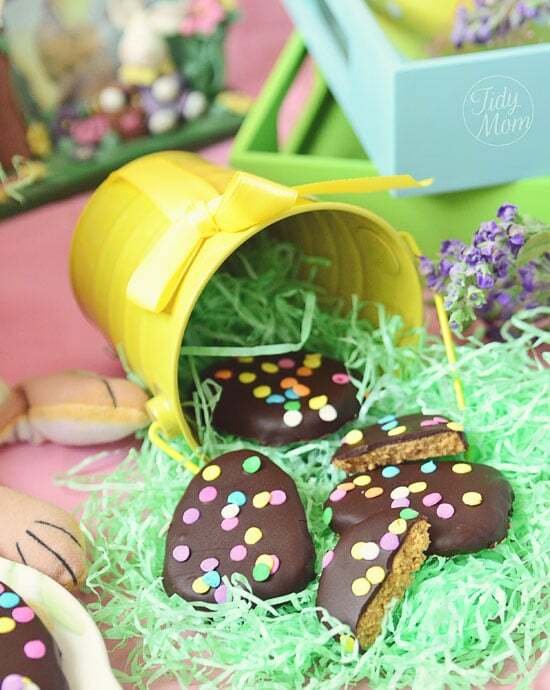 Make homemade Peanut Butter Eggs for their Easter Baskets! My husband doesn’t like it when I travel. Even after 25 years of marriage, he still gets upset when we have to spend a night apart. So this past weekend, I enjoyed a fun little half business, half pleasure girls weekend in Chicago – one of my favorite cities!! Reese’s Peanut Butter Cups are the way to this man’s heart, and according to him, Reese’s eggs are a divine creation! He enjoys the perfect peanut butter to chocolate ratio in the eggs, and thinks they just taste fresher. I was digging WAY back in the TidyMom archives the other day, when I ran across a recipe I shared back in April 2009 for no bake peanut butter bumble bee’s, which is also similar to my krispie peanut butter balls I make during Christmas, when it occurred to me, I could follow that recipe and make my man some homemade peanut butter eggs! They were actually very easy to make, just a little messy and fun! Any time melting, and dipping chocolate is involved, there’s going to be a mess! 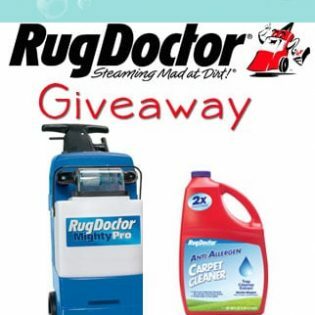 Hint: put down lots of wax paper for easy cleanup! First, you mix up the simple peanut butter dough, roll it out to a generous 1/4″ thickness (cover dough with wax paper for easier rolling), and cut out your oval shapes with a cookie cutter. Place your ovals on a wax paper lined pan, and give them a bit of an egg shape. I pinched the tops and flattened the bottom just a bit (you could also leave them oval shaped). Then pop the pan in the freezer for about an hour, to get them nice and firm. Then give them a good dunk in the melted chocolate. I love using the Wilton Chocolate Pro Melting Pot! Lay them out on a wax paper lined baking sheet until they cool and set up(this is also the time to add sprinkles if you want). Put them in the fridge to speed up the process. You could also decorate with pastel colored candy melts after the chocolate sets. They would be super cute in Easter baskets with names written on them and placed in a cellphone bag with a cute ribbon! Store in a container in the fridge, so they don’t melt. 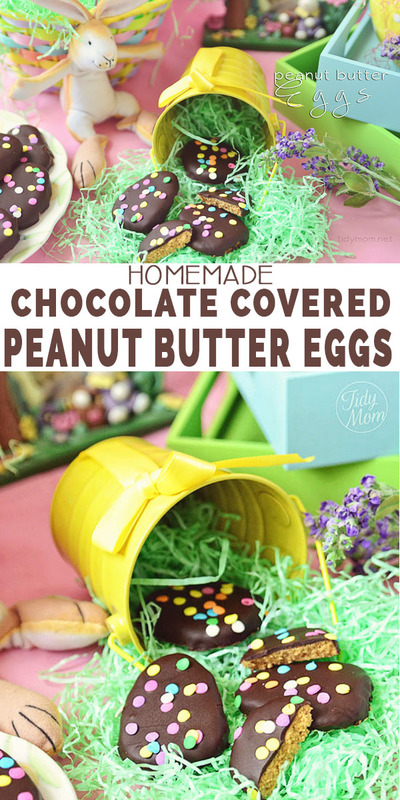 My goal in life is to make my family happy, and I’ll tell you………making these homemade peanut butter eggs definitely made them happy! 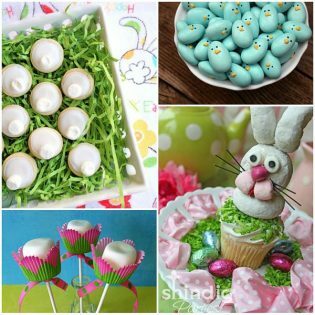 The advantage to making your chocolate eggs at home is you can use your preferred chocolate (milk, dark or white), if you have peanut allergies, you can possibly use almond butter. I would LOVE to try them with Biscoff cookies in place of the graham cracker crumbs and Biscoff spread for the peanut butter! In a large bowl mix together peanut butter, butter, graham cracker crumbs, powdered sugar, and salt until well combined. You may have to use your hands if you're not using a stand mixer. Roll dough out on a wax paper lined surface to a generous 1/4" thickness. (place another piece of wax paper over the dough for easier rolling). 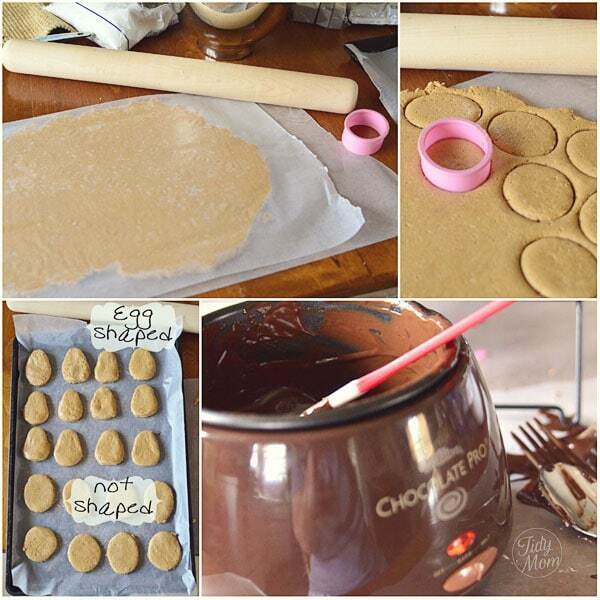 Remove top piece of wax paper and using a small oval cookie cutter, cut out your eggs and place on wax paper lined pan. Reroll scraps and cut again. Place cut eggs in the freezer for one hour, or until firm. Melt chocolate and shortening according to instructions on package. Using a fork, dunk each frozen eggs in the chocolate, tapping off the excess. Use a spoon to push egg off fork on to wax paper lined baking sheet and refrigerate until set. These can be made using any cookie cutter shape, or you could even shape dough by hand. 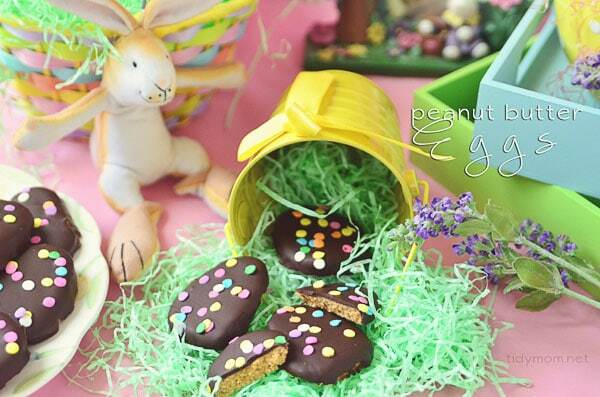 Like this Homemade Peanut Butter Eggs Recipe? Pin It! I know your husband enjoys and appreciates all your homecomings but this one he must have been truly delighted over. 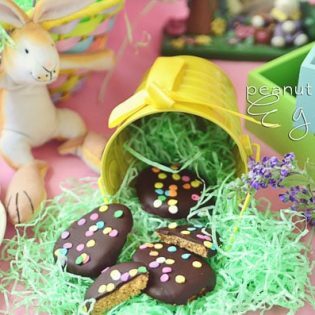 Great looking peanut butter eggs. YUM! i wish I would have made these to put in my Homemade DQ Reese’s Peanut Butter Eggs Blizzard that I posted today! That would have been so good! How cool is this! I’m always amazed by how crafty you are! My boyfriend swears that the egg shaped Reese’s are the best – perfect ratio of chocolate to pb (better then regular old Reese’s). I would blow his mind if I made these for him. So funny, I did peanut butter eggs too! Mine were a little different, of course. I guess it’s that time of year! These are super adorable and I bet they taste awesome! Thanks for the recipe! I’m sharing my Fresh Strawberry Cream Torte today for my Homemaking Linkup. I hope you’ll join us! Not sure what I did wrong but my pb mixture turned out too soft. I couldn’t get it off the wax paper in one piece…HELP!! !